My love for photos is endless. I have had lots of professional photos taken of my children. We have this large wall in our lounge room that has been bare for awhile. 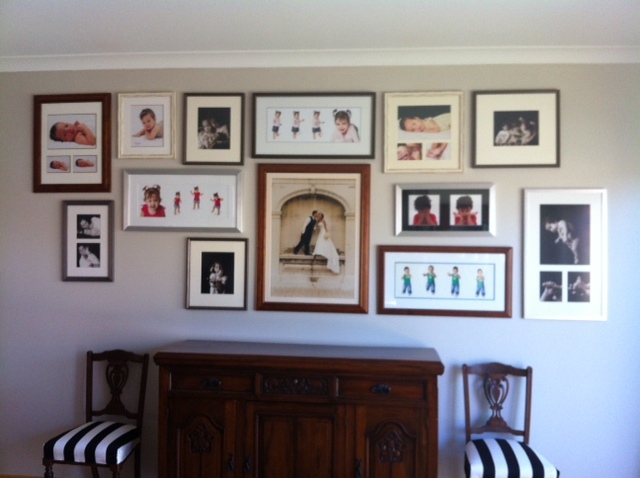 We have finally got all our photos framed and thanks to my handy husband they are all up on the wall. We have left some spots to add more photos as the children grow up. I love it!